The effect of turbocharger life factors, fault and diagnosis are analyzed, and the points for attention in use, is intended to reduce the supercharger failure, prolong the service life, reduce maintenance cost. 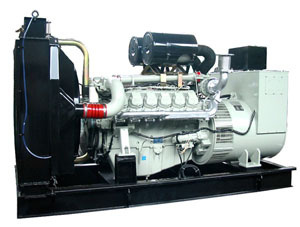 In recent years, along with the motor vehicle replacement, some heavy duty diesel vehicles generally used a turbocharger, but in the use of often occurs in the exhaust gas turbine supercharger damaged early fault, analyse its reason, is mainly used for turbocharger, improper maintenance caused by. The influence of turbocharger life factors, fault and diagnosis are analyzed, and the points for attention in use, is intended to reduce the supercharger failure, prolong the service life, reduce maintenance cost. Turbocharger is used to increase engine power and reduce emissions of major parts. Turbocharger itself is not a kind of power supply, it uses the residual energy in the exhaust of the engine to work, its role is to provide more compressed air engine. It uses the engine exhaust gas energy, driving the turbine rotating speed, driving the coaxial with turbine compressor impeller rotating speed, press the compressed air into the engine cylinder, increases the engine's air volume, for more complete combustion of the fuel, thereby increasing the power of the engine, reduce fuel consumption, at the same time as the combustion conditions improve, reduce exhaust emissions of harmful substances, capable of reducing noise. Diesel engine performance through the pressurization later changed, it makes the power of diesel engine is greatly improved, turbocharged engine power can be increased by 20%～ 40%, WD615 machine as an example, the engine mechanical efficiency, turbocharged engine auxiliary system of the power consumption is increased a little, although because of an outbreak of pressure, the the friction surface of the friction loss has increased, but the engine power increased, the mechanical efficiency is increased by about 8% or so. 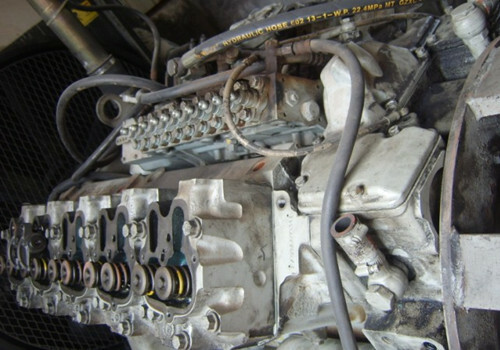 Reduced fuel consumption, after the booster inlet pressure, improve combustion conditions, mechanical efficiency, reduce oil consumption of engine unit, power quality is greatly reduced, but the engine after pressurization also brought new problems, such as: the engine so that the mechanical load is increased, the heat load of an engine to increase and so on. 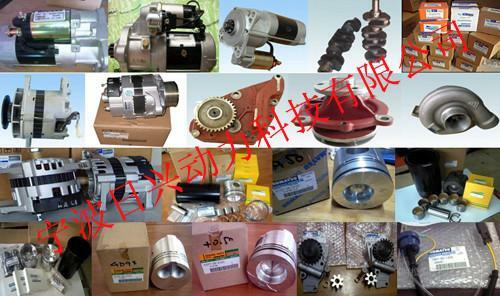 Use we found, turbocharger damage and wear always in diesel engine and its nearby after a failure occurs, diesel engine with many abnormal conditions will cause the damage of turbocharger. Turbocharger failure,40% is due to poor lubrication caused,40% is the result of external impurities through the turbocharger caused by other reasons,20%. The 2.1lubricating oil. Lubricating oil used for lubricating and cooling the supercharger, but when the turbocharger when in normal work, the rotating speed of up to the minute tens of thousands to ten rotates, lubricating oil is hit into foam, its cooling and lubricating performance, therefore lubrication system must guarantee to provide sufficient lubrication oil. When600℃high temperature of exhaust gas through the turbine chamber, the bearing seat can not get enough lubrication and cooling, lubricating oil in the annular oil on the wall of coking, gradually blocked oil. Lubricating oil if not clean, will soon damaged turbocharger internal parts. Such as containing dust, mud sediment and metal particles in the lubricating oil can quickly destroy the parts fit clearance, scratching and wear of bearing surface. All these will cause the turbine shaft resistance and lose balance, so that the rotational speed of the shaft down, resulting in engine power loss increases, and the rotational imbalance will soon lead to a turbocharger parts damage. 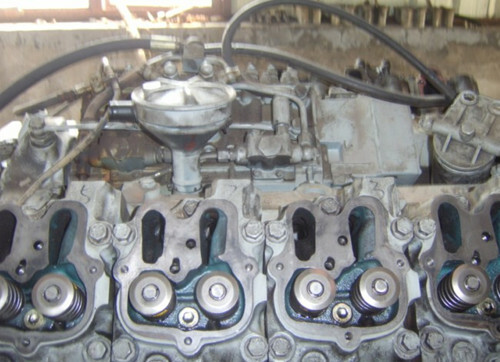 If the oil quality grade aging, oil additives can not meet the large work load of turbocharged diesel engine lubrication requirements, lubricating oil will be accelerated oxidation metamorphism, also aggravate the diesel engine and turbocharger parts wear. Diesel engine starting, flameout operation method is not correct it will seriously affect the life of turbocharger. If the starting of the diesel engine, once the speed to rise too high, the lubricating oil can not be timely arrival of turbocharger bearing and accelerated wear. Diesel engine flameout, if not the first to make turbocharger cooled, and all of a sudden flameout, to stop the supply of oil will cause the turbocharger, turbocharger internal parts overheat, bearing oil passage oil carbonization blocking oil, would have killed risk bearing. Seal ring leakage caused by turbine rear carbon deposit, will make the rotating parts rotation of Shibuya, and loss of power. Rotating parts unbalance is caused by the seal ring leakage is one of the important reasons. The crank vent or supercharger oil return pipe plug or the resistance is too large, can also cause the seal ring leakage. 2.2air intake system. Turbocharger working stand or fall is also dependent on the intake system, only supplies enough, clean air to ensure the supercharger long-term trouble-free, prolonging life. 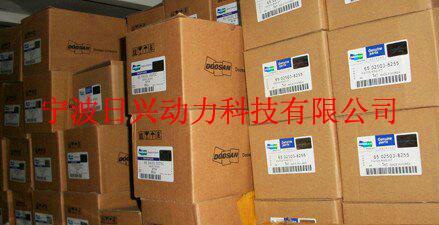 Therefore, should be regularly checked all the inlet pipe and hose seal, to prevent leakage. If the compressor to diesel engine intake pipe leakage, reduce the amount of air, will cause the black smoke for diesel engine. When the larger particles of dust or sand into opportunity immediately damaged turbocharger compressor. The smaller particles will also make the work wheel blades bending or cutting, and make it out of balance, causing a bearing and seal ring wear intensifies. Unbalanced rotor and bearing when a collision occurs, the bearing oil passage is gradually reduced, leading to poor lubrication. As the bearing wear, with increasing gap, so that the compressor or turbine blade against shell, the fault signal is a lot more noise than usual. Air intake system and the intake resistance should be small, if the air filter is clogged, the intake resistance increases, the inflatable amount is reduced, increasing the power loss, at the same time, the compressor side of the seal ring will be due to the pressure difference is too big and leaked, causing lubricating oil consumption is too large, the fault is marked in the compressor work wheel blades appear behind a layer of dark lubricating oil film. 2.3emissions. Very small particles in the exhaust gas into the turbine, and the particles into the compressor as a result, will lead to the damage of turbocharger. Diesel fuel amount is too large, the intake resistance, will make the combustion chamber combustible mixed gas exhaust overheating caused by too strong, causing the turbine casing and oil overheating, the exhaust gas from the exhaust pipe to the turbine chamber passage leak will reduce the turbine turbine speed, increasing the smoke, also can make the turbine housing overheating. All these will lead to the interior carbon deposit and turbine blade corrosion. Lubricating oil pressure is too high, the lubricating oil through the sealing ring into the turbines will result in the turbine chamber, carbon deposition. Exhaust gas turbine supercharger often works under high temperature, into the exhaust gas turbine end at the temperature of 600℃. Supercharger Rotor with tens of thousands to ten per minute to rotate at high speed, in order to ensure the normal work of the supercharger, the use should pay attention to the following points: (1) use the correct grade of lubricating oil, and the regular replacement. For turbocharged diesel engine should be at least CD stage supercharged engine. (2) engine, especially in the winter, after engine ignition, should be idle a few minutes, ten million cannot banging accelerator, to prevent damage to the turbocharger oil seal. (3) before the engine flameout, should also be idle a few minutes, let the engine, turbocharger rotor speed down later to prevent stalling, bombarded the throttle, the turbocharger speed is very high, all of a sudden flameout, machine oil pump not nonsense, Supercharger Rotor in high-speed inertial movement, dry bad bearing wear. (4) due to the frequent under high temperature operation, to the turbocharger lubricating oil pipeline due to high temperature, the internal oil easy to have part of the coke, which will cause the supercharger bearing lubrication and damage. (5) as part of the engine, should pay attention not to let the debris into the supercharger, to prevent damage to the rotor. (6) WD615by pressurized, air enters the intercooler, a couple of rubber pipe connection, requirements, before driving car check their connections, to prevent loosening, fall off, so as to avoid the turbocharger failure and short circuit of air cylinder. (7) prohibit the diesel engine for a long time racing ( less than 5min ) for idle speed oil pressure is low, is not conducive to the turbocharger lubrication, easy to cause premature bearing wear. Turbocharger failure, not to rush to replace supercharger, should seek and fault reasons and positions, and as far as possible to exclude. This can be avoided in the supercharger the same fault repeated. 4.1compressor surge. If the turbocharger in the working process to the cylinder air volume, air pressure will produce great volatility, in air compressor end sends out the different bang, such as wheezing sound, this is the surge. Since the surge, the engine working is not stable, power down, black smoke exhaust. Surge is the cause of the intake system blockage, such as air cleaner element severe obstruction, air intake pipe oil too much congestion. Turbocharger nozzle circulation channel deformation will cause surge. It is best for each two maintenance replacement air filter, car runs one hundred thousand kilometers, cleaning air inlet passage. 4.2 supercharger in operation emits a sound, making the metal bump, friction sound, or vibration, the turbocharger rotor and the volute are between changed, should remove rotor maintenance, adjustment. In the operation of the4.3turbocharger appeared strong shock. This is due to the rotor group imbalance, bearing damage, replace the bearing and rotor dynamic balancing. 4.4pressure drop. 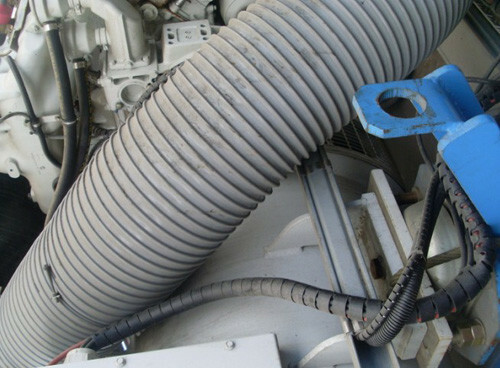 This is the main reason of failure of inlet plug, and into the cooler inlet port connected to the hose loose, caused by ruptured. 4.5 supercharger suddenly stopped running, engine power is reduced. This is the turbocharger rotor beari, ng damage, caused by the group. 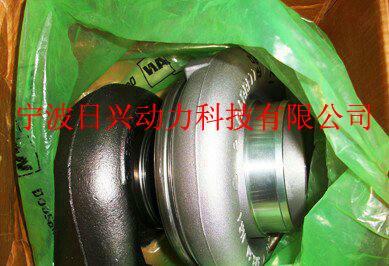 Should replace the bearings, such as serious damage to replace the turbocharger assembly. Seal leak should also be timely maintenance and replacement.